Rick makes great stuff and is one of the nicest people with which you will ever interact. Regardless of the length of his backlog, the sheaths he make are worth the wait. Rick does make great stuff! 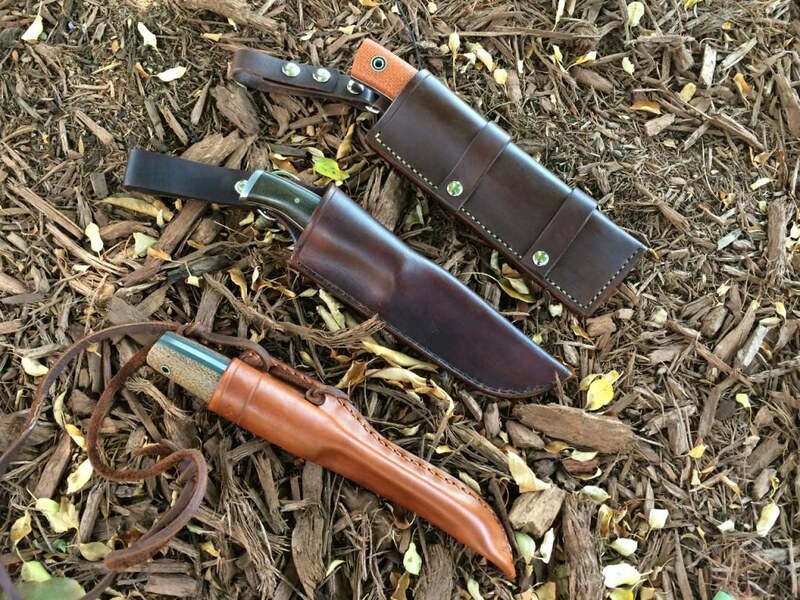 He has a knack for making sheaths that really show the blade profile of the knife. 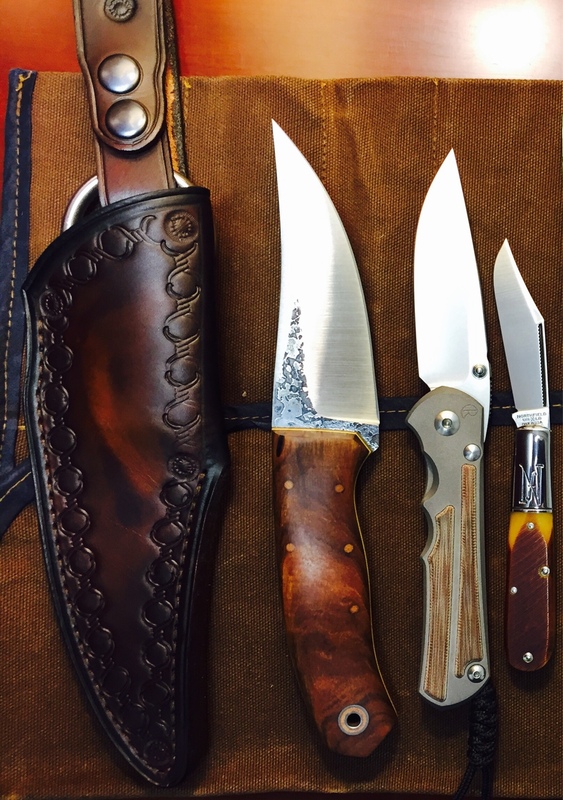 His Sneaky Pete sheaths are downright beautiful! And, he a really good guy! 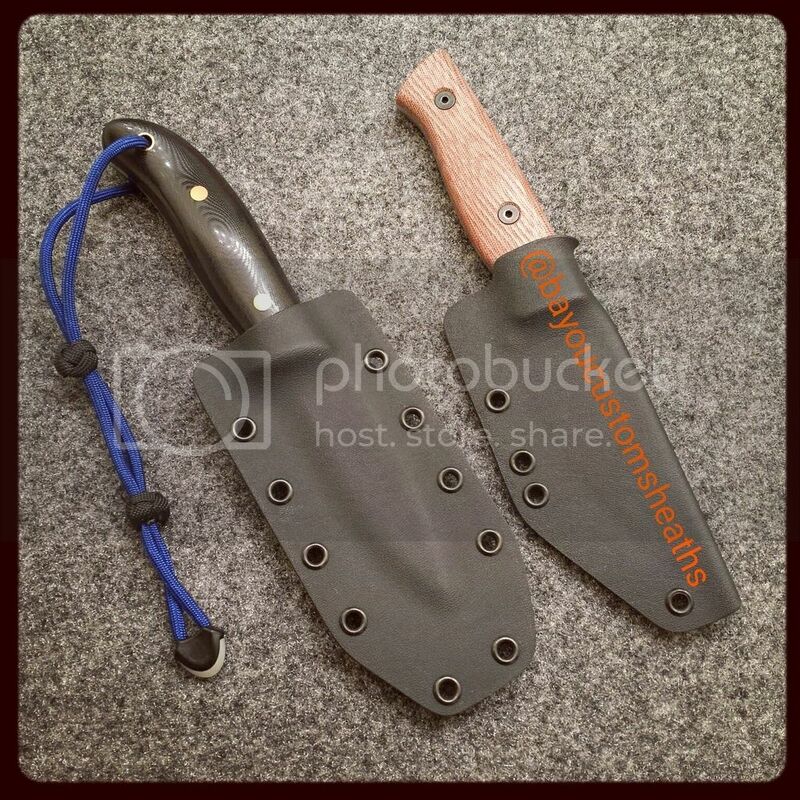 I'm offering kydex sheaths for the production bushfinger. Planning on adding the Hiking Buddy and a Runt shortly. I had the remarkable privilege of visiting Rick Lowe and his lovely wife today - he invited me over to his home to pick up the two sheaths he made for me (I live in the adjacent county). What an honor! They've got to be the nicest people you'd ever want to meet! Kind, generous, and willing to provide guidance and advice without a second though. Just a wonderful experience! It reminded me how grateful I am to have stumbled across this forum and community. Of course, I left with the two sheaths...and Rick's Bushboot! Definitely check out RLO Knives! 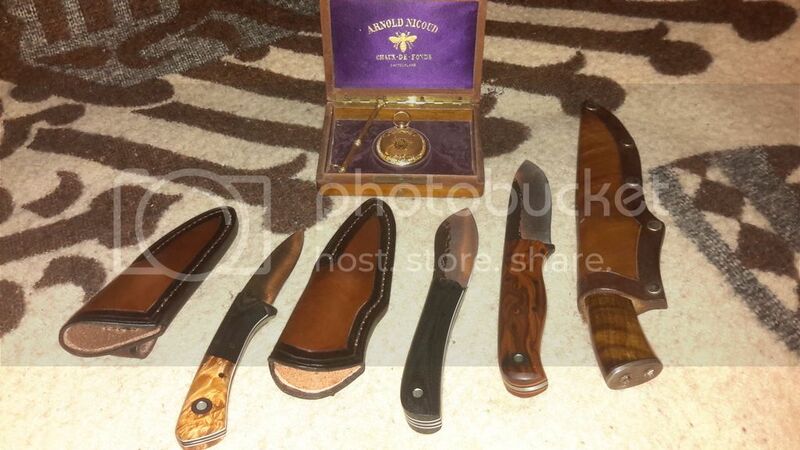 I've already got another sheath ordered, and plan on picking up one of his cross draw designs as well. I arrived home to find the pocket watch I inherited from my father waiting in the mail. He promised it to me 38 years ago. Quite a day. I need to throw in a few names. Badgerclaw Leatherworks and Red Nose Leather both make nice stuff. I have some Badger Claw and they're good stuff. John is a great guy to deal with. Agree 100%. John is a real professional and does very good work. Here's a story about how John takes care of folk. I had him make a MOLLE compatible dangler sheath a few years that you've probably seen me post before (seen below). After I had it for over a year, he asked if I'd send it back to him. 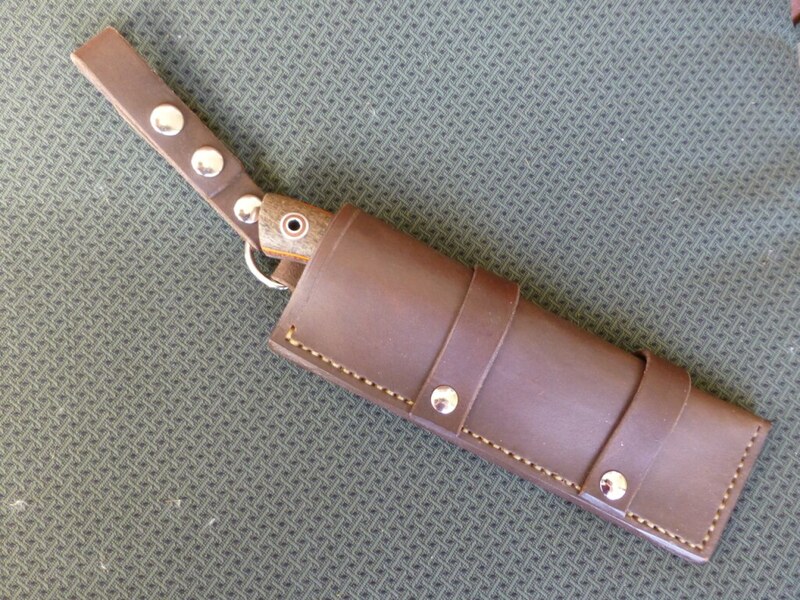 It was one of the first MOLLE sheaths he had made and he wanted to see how it was holding up. He replaced one of the straps, conditioned it, AND GET THIS made me another sheath as "payment" for the trouble of sending him the sheath for him to touch up. Good dude. Cool Rick. I've added it to the OP. I found this one from a Texas maker. Fits my pocket kephart perfectly. 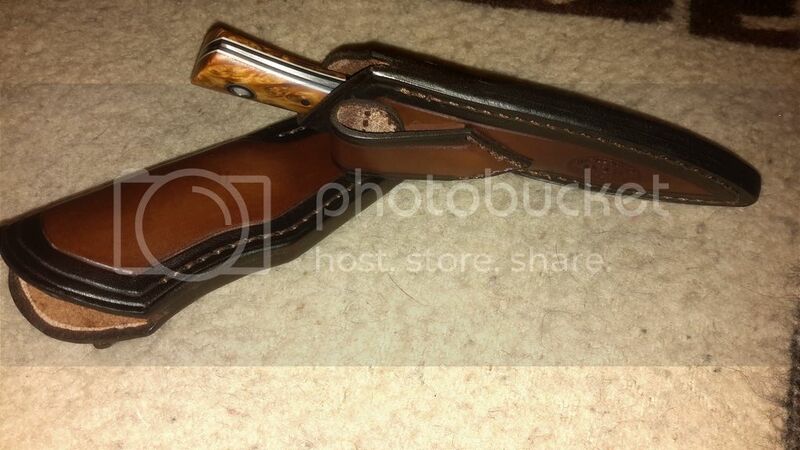 It's a great looking sheath for an unbelievable price. He has many different versions and styles. I'm odering a larger one to try with a ladyfinger . +1 for Red Nose leather. Colton does pretty amazing leather work. Great prices too. Rick is the man! 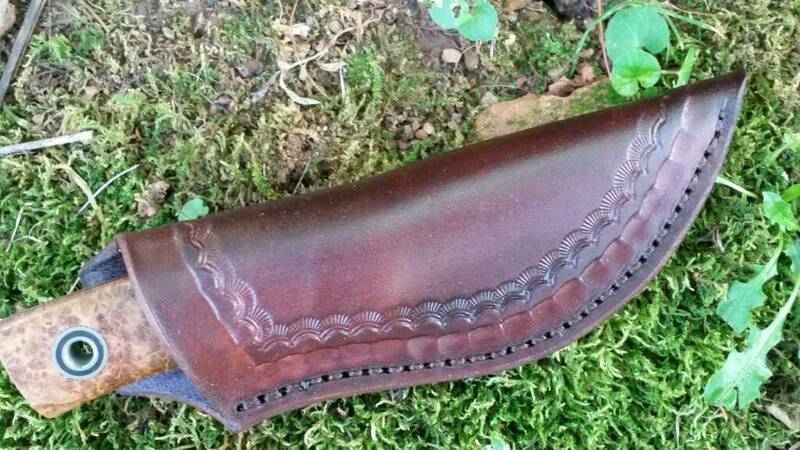 Thank you so much for this amazing sheath. Quite a talent you have. Love the tool work and coloring of that sheath. Anyone have a protagonist? Please post a pic of your sheath for it. Looking to get one but don't know if anyone stocks that profile. Check with Rick. RLO Leather. He might have it. Not a whole lot of hope for this, but is there anyone who does/could make a discrete IWB sheath for a production Kephart? The sheath thing has actually been what's kept me from jumping into the FF pool. 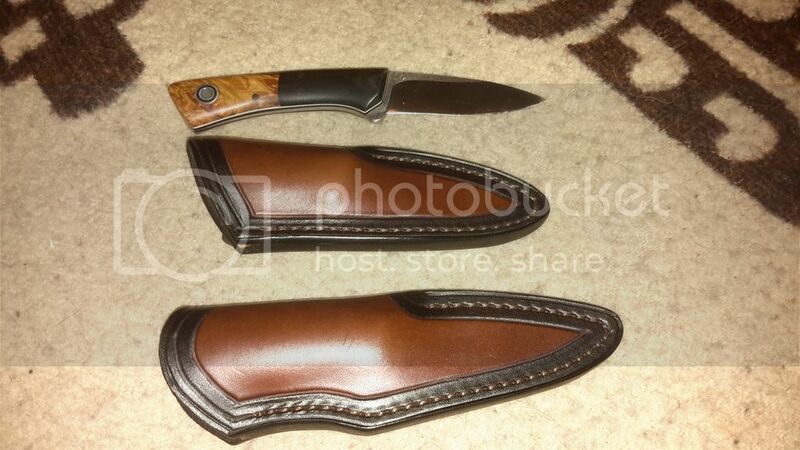 I want to carry fixed blades so much and hate production sheaths so much more. Ideally it would be an IWB leather or lined kydex sheath that exposes most of the grip and is retained by static cord like a Hartsfield-style sheath. I'm sure that one of the sheath makers around here could make that happen for you. Most of them don't check in here a lot so you'll have to reach out to them with your idea. Check this thread out. It may be what you are looking for.